It was so hot this summer, wasn’t it? And finally, it becomes cooler and cooler in this week. The next season will be autumn in Japan. Speaking of autumn, what do you think of? We have a lot of seasonal delicious foods in autumn in Japan like pacific saury, chestnuts, sweet potato, pumpkins and so on. 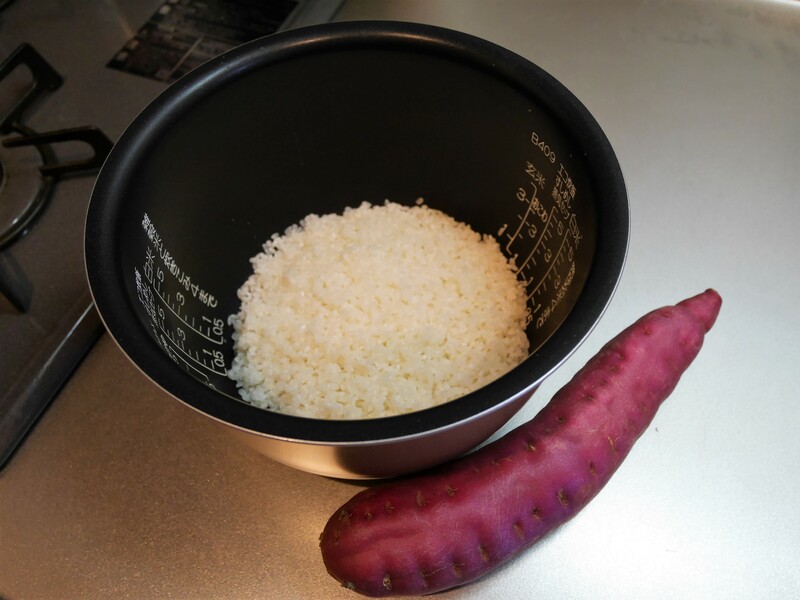 I will choose a sweet potato from them today and let me introduce “Satsumaimo Gohan”. 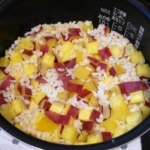 It’s kind of steamed rice with diced sweet potato and seasonings. You can cook easily and it’s tastes good. さつまいもごはんの作り方 ☆ How to cook “Satsuma-imo Gohan”? 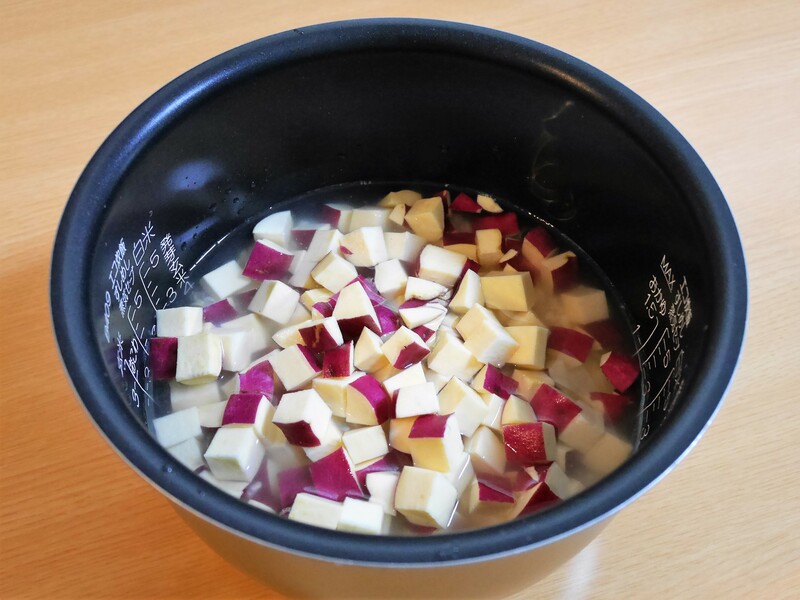 Wash the sweet potato well and dice it into 1-2cm cubes. 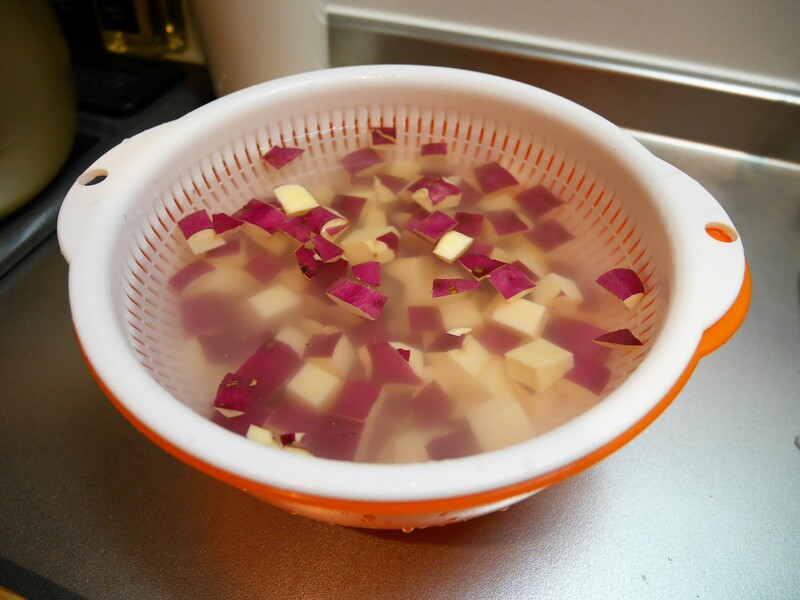 Put them into the bowl and soak into water for about 10 minutes. Wash rice and put it in a rice steamer. 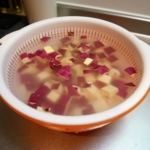 Add cooking sake and pour the water up to 2 cups (300 ml), which is equal to “2 go” in Japan. Add the salt and stir lightly. 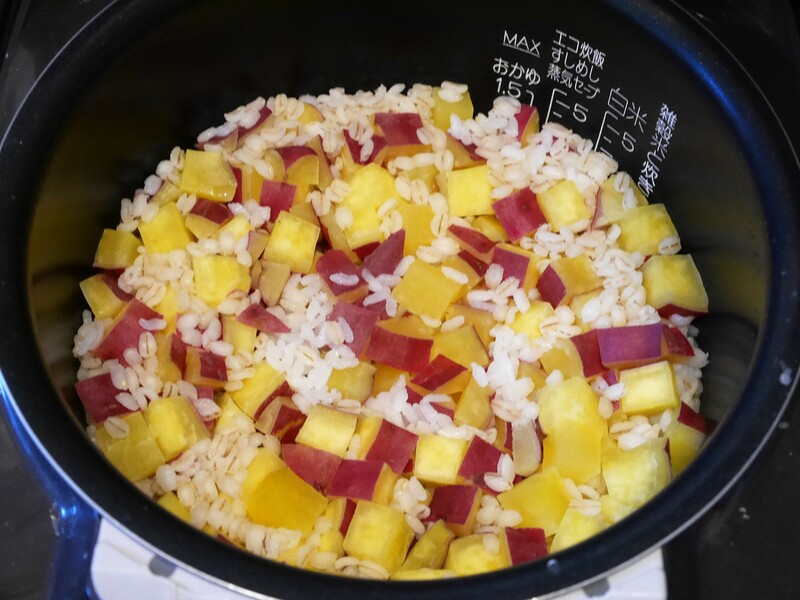 Drain the sweet potato well and put on the rice. Then steam it. Serve it and sprinkle some black sesame seeds to taste. 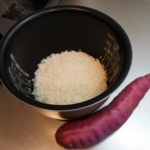 ・You can peel the sweet potato if you don’t like the texture of the skin. But its color looks good and hard to crush when you cook with the skin. 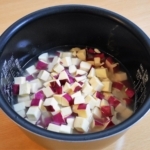 ・Don’t mix them after you add sweet potato on Step 3. 1. 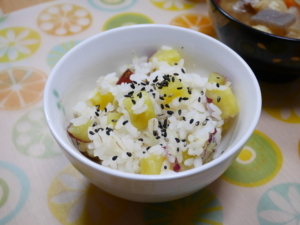 さつまいもごはんの作り方 ☆ How to cook “Satsuma-imo Gohan”?